Phnom Kulen or Kulen Mountain which means “Mountain of Lychees” is considered by Khmers to be the most sacred mountain in Cambodia. Located 40 kilometers northeast of Angkor Wat and the beautiful town of Siem Reap, Phnom Kulen is a holy mountain which serves as a place of pilgrimage on weekends and special occasions. It stretches over an area of 25 by 10km and is covered by a chain of small mountain plateaus. 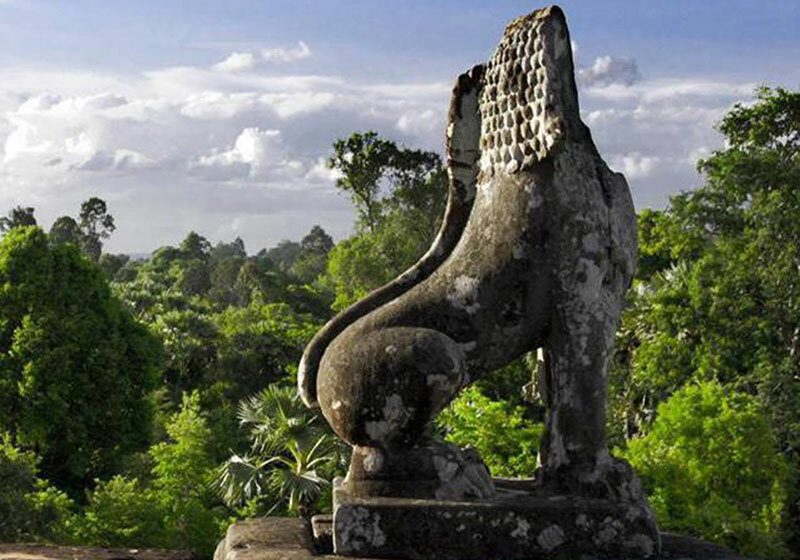 Phnom Kulen is believed to be the birthplace of the Khmer Empire where King Jayavarman II was crowned as ‘God-king’. At present, Kulen Mountain is a favorite spot among Cambodian families for weekend getaways and special holidays. This is where families usually gather together and the place where visitors go for outdoor activities. Short Description: Phnom Kulen National Park and officially known as Preah Cheyvaraman-Norodom Phnom Kulen National Park is a National park in Cambodia. It is located in the Phnom Kulen mountain massif in Siem Reap Province.